This workshop introduces prospecting methods and strategies for making the prospecting and business development process more customer-centric, while making salespeople more successful in how they engage and approach the targeted prospect individual. CustomerCentric Selling® (CCS™), a proven methodology for predictably improving revenue growth and sales performance, today announced the addition of the Prospecting & Business Development™ Workshop to its sales training workshop offerings. Prospecting is necessary and difficult in today’s competitive marketplace, and buyers are much more informed than ever with the advent of the Internet and social media. For these reasons, CustomerCentric Selling® is now offering this valuable workshop to isolate and address the prospecting approach with a customer-centric process. In this sales training workshop, traditional prospecting practices are evaluated and shown how they are no longer effective; for all intensive purposes, cold calling is dead. Simply ask the prospect receiving the cold call or the salesperson instructed to make those calls with continued poor results. This new workshop was developed with the understanding that companies do not want their high-priced sales talent spending their valuable selling time placing unanswered phone calls and leaving voicemails that are routinely deleted. Prospecting has changed, but many salespeople have not changed or adjusted their prospecting methods and habits accordingly. Prospects are more than leads – they are people. A good salesperson will learn how to efficiently target and identify them, but beyond that, the truly successful salesperson will know how to effectively engage with them and remain relevant. Major global organizations such as Microsoft, Hewlett Packard, Business Objects, Rockwell Automation, EMC and Raytheon have deployed CCS™ worldwide. 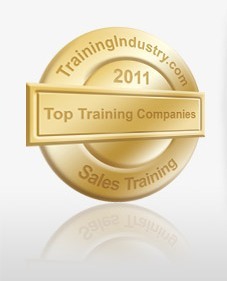 CustomerCentric Selling® was named Top Sales Methodology Training Company for 2009, 2010 and 2011 by Training Industry and made Selling Power’s Top 10 Sales Process Companies list in the Sales 2.0 section of their June 2009 issue. For additional information, visit http://www.customercentric.com, or contact Jill Perez at jperez(at)customercentric(dot)com.